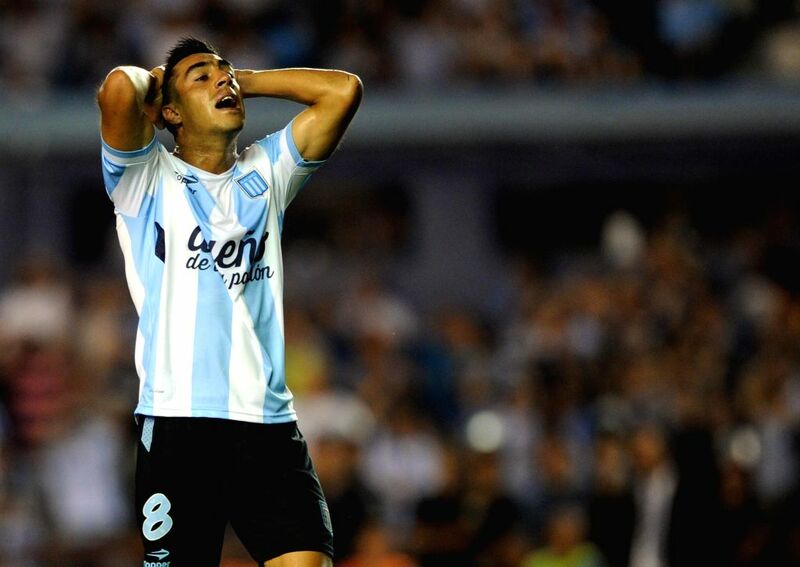 BUENOS AIRES, March 11, 2015 - Racing Club's Washington Camacho of Argentina reacts during the match of Copa Libertadores against Sporting Cristal of Peru at the Copa Libertadores in the Presidente Peron Stadium in Buenos Aires, Argentina, March 10, 2015. 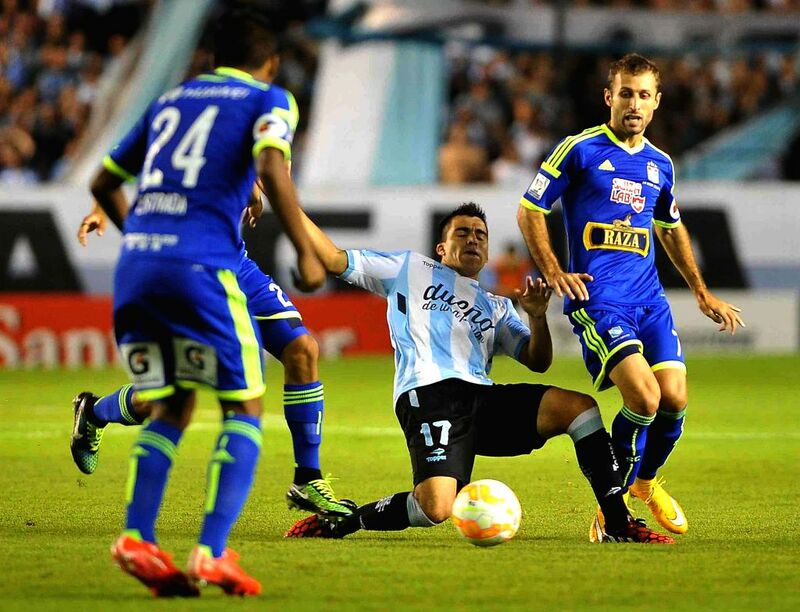 Racing Club's Marcos Acuna (C) of Argentina vies for the ball with Sporting Cristal's Horacio Calcaterra (R) of Peru at the match of Copa Libertadores in the Presidente Peron Stadium in Buenos Aires, Argentina, March 10, 2015. 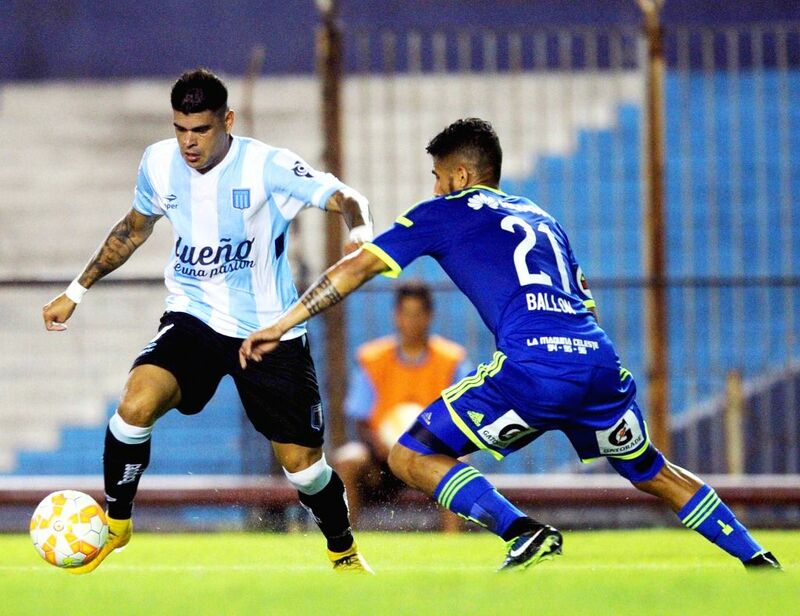 Racing Club's Gustavo Bou (L) of Argentina vies for the ball with Sporting Cristal's Josepmir Ballon of Peru during the match of Copa Libertadores in the Presidente Peron Stadium in Buenos Aires, Argentina, March 10, 2015.